Dr. Doug Ross graduated from the University of Louisville School of Dentistry in 2001. In 1996, he graduated with a degree in Civil Engineering at Brigham Young University. He worked as a Civil Engineer in Bellingham prior to attending dental school in Kentucky. 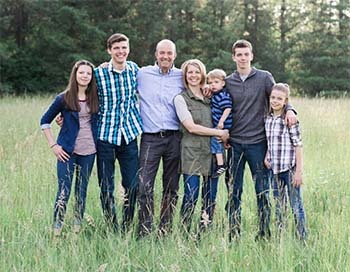 Dr. Ross grew up in Utah and is the fifth of seven children. He enjoys playing most sports and played basketball at Dixie State College. He and his wife have six children. He is active in numerous church and community activities. When he is not playing with his kids, he can usually be found working in the yard. 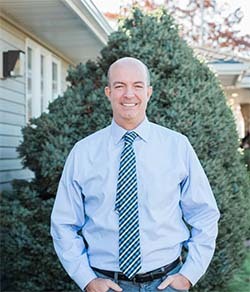 Dr. Ross attends several seminars each year and enjoys studying the newest techniques that continue to improve the way he cares for his patients. He has over 300 hours of implant training. He has found family dentistry very enjoyable. "It is incredibly rewarding to have patients who were previously self-conscious about their teeth leave our office with a new confidence in their own smile."